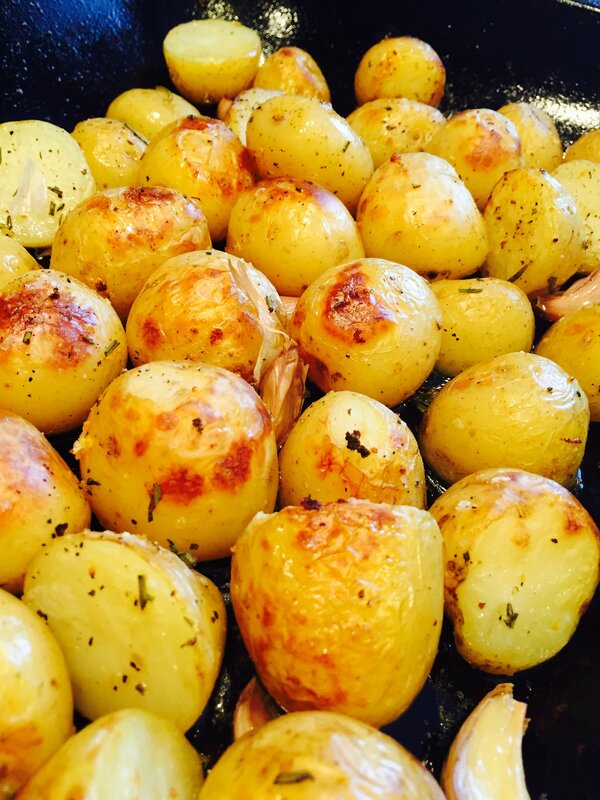 Roasted new potatoes make a tasty side dish to accompany chicken, fish or casserole. 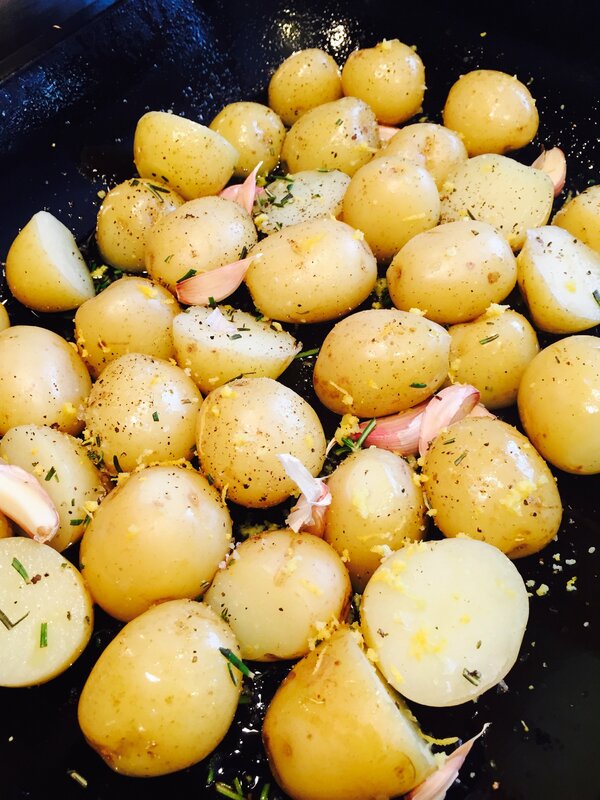 Our roasted new potatoes are cooked in olive oil, scattered with chopped rosemary, lemon zest, whole cloves of garlic, sea salt and cracked black pepper. They smell and taste amazing. Tasty potatoes that are perfect for serving with your favourite family meals. Whilst the oven heats up - scrub the potatoes and boil for 10 minutes. Add a good drizzle of olive oil to a roasting tin and warm briefly in the oven. Then remove and tip in the part cooked potatoes and garlic cloves. Give the roasting tin a shake to coat the potatoes in the warmed oil then sprinkle with chopped rosemary, lemon zest, sea salt and black pepper. Return to the oven and roast for around 20 minutes until nicely browned and crispy. Once cooked squash the roasted garlic out of the skins and just stir through the roasted potatoes for a little added flavour.